Leaving a parent or elder loved one in the care of staff members at a nursing home or continuing care facility is always difficult. It can prove even more so, however, if you have concerns about the quality of care your loved one will receive in your absence. While many physicians, nurses, health aides and other health care professionals have the best intentions, even the best medical professionals can make errors and poor judgment calls when they are spread too thin. Regrettably, understaffing is a very serious problem plaguing American nursing homes, with ABC News reporting that a substantial percentage of nursing homes across Illinois and the nation do not meet current care standards. As you might imagine, there is a direct correlation between the quality of care your loved one will receive at a nursing home and whether that nursing home has an adequate number of caregivers on its staff. When staff members have too much on their plates, your loved one may not receive regular or appropriate care with regard to bathing, eating, using the bathroom and so on, with immobile seniors likely to suffer from understaffing issues the most. There is also a link between nursing home understaffing and the development of bed sores and serious infections among patients. Dehydration, too, becomes increasingly likely when nursing homes and assisted living facilities do not have adequate staff. Just how understaffed are the nation’s nursing homes? 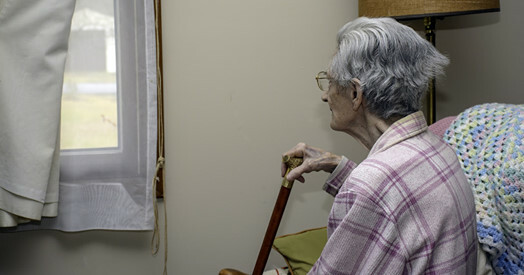 Federal standards dictate that patients must get at least two hours a day of care from nurse’s aides, among related stipulations, but more than half of the nation’s nursing homes do not meet this standard. Patients are also, per guidelines, supposed to receive more than 30 minutes of daily care from registered nurses, but more than 30 percent of American nursing homes do not meet this standard, either. If you are placing a loved one in a new residential setting, do your homework. Do not hesitate to ask about patient-staff ratios and exactly how much care you can expect your loved one to receive in a particular facility. Previous Post Did your accident result from defective crashworthiness? Next Post How dangerous is Chicago’s I-80?